We can’t deny the fact that Italian cuisine is among the greatest and most respected cuisine in the world of food. However, wine also comes in handy if you want to enjoy your delicious Italian meal. But, many people don’t seem to realize that choosing the wrong wine can hinder the fantastic flavor of their perfectly-prepared Italian food. For instance, handmade pasta that is topped with creamy fettuccine alfredo or tender meatballs may sound incredible but do you know which type of wine would pair well with each portion? Are you planning to eat out in a bring your own wine restaurant? This valuable information will help you to ensure that your Italian meal and wine choice are nothing but a perfect pair. If you love eating seafood such as shrimp and fish, then you should always go for white wine. 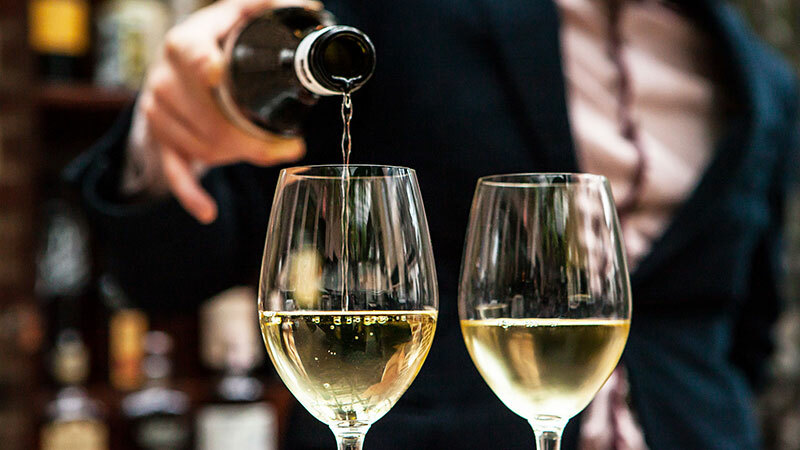 Some of the amazing selections that you should consider include Pinot Bianco, Chardonnay, Vernaccia di San Gimignano, and Fiano di Avellino. One thing that is common among all these meals is that they have stronger flavors giving you the freedom to choose any full-bodied red wine. The strong flavors paired with a glass of red wine will bring out the best out of these dishes. Some of the excellent options that you can consider in this category include the Amarone, Barbaresco, or the Cabernet Sauvignon. Aperitifs and cocktails will always pair well with appetizers. This means that you should serve them before serving the main course meals. Do you want to start your meal incredibly? Try serving your appetizer with sparkling wine such as Prosecco or Spumonti Brut. Are you planning to order chicken, pasta, or meat sauce in a bring your own wine restaurant? Then you should arm yourself with any light or medium-bodied red wine. These types of wine will not overwhelm the complex flavors of these foods, and they will also offer you the much-needed palate-cleansing effect with every sip that you take. Some of the best options in this category include the Chianti and merlot red wines. Although this simple guide offers you the best strategy to choosing the perfect wine for your Italian dish, there is also a traditional approach to selecting a bottle of wine that is more generalized. This approach dictates that you should always try to pair regional wines with the provincial recipes. The concept is relatively easy to apply, and it is straightforward. For instance, if you are planning to order a meal from Tuscany, then you should also go for a bottle of wine from the same region. If you are ordering a meal from Sicily, then go for Sicilian wine. Although this approach may seem basic, it offers you a general rule of the thumb that you need to follow while eating Italian food. It ensures that you pair your meal with the perfect wine. If this approach doesn’t seem to work with you, feel free to ask the waiter the right wine that you should pair with your meal.